ACS has two important uses. 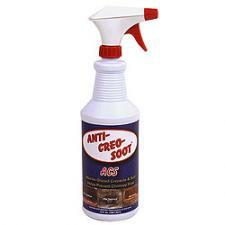 First, it removes thin layers of tarry or glazed creosote. Second, it prevents future buildup. Just spray directly onto the fire for easy application. ACS is nontoxic, noncorrosive and nonflammable.